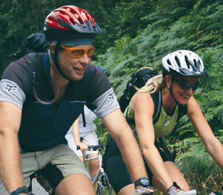 CycleWest Ireland create premier bike tours in Ireland. Come join us! Are you looking for a unique and personalized bike trip designed just for youLet us plan your trip for you, whether a private escape or a family adventure that will tickle your kids curiosity? Then look no further! Here at CycleWest Ireland we have 17 years of experience planning and creating once-in-a-lifetime trips for families, friends and small group travel. Let us plan yours. Take a look below at the type of bike tours we offer: and then decide on the location you wish to travel in ~ or simply contact us when you have decided upon your destination and we can help you plan the rest! Our passion for adventure and knowledge of accommodations and activities alike provides us with the ability to create a memorable bike tour. Choose from an array of Guided or Self Led tours. Whether you are a family who wish to take a bike trip togther, or a small group, or a couple celebrating a special occasion, we have the trip for you. Read on for some of our favourite new bike trips. If you have an insatiable curiosity, the CycleWest Ireland team have created a portfolio of destinations that will ignite your senses. Our custom tours are designed to immerse our clients into a world of culture and landscape. We deliver a memorable experience. Our bespoke and tailor made journeys enable us to create an escape exclusively for you. Find a real fairy fort! Explore the Burren caves. Walk with a hawk. Take ferry boat ride to the Aran Islands. 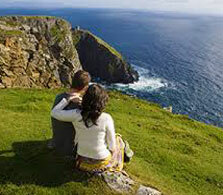 Visit the towering Cliffs of Moher. Ride a Connemara pony. Catch a trout! Come to the West of Ireland and see what fun you can have! 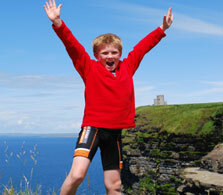 CycleWest Ireland Family Adventures are everything a curious young traveller could dream of. Whether it is a honeymoon or a romantic getaway, prepare to be seduced by breathless landscapes, luxury accommodations and a warm welcome to greet you at the end of each day. 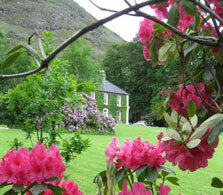 Stay in a castle or a warm, friendly guesthouse hand selected just for you. Elegant or rustic, the choice is yours. 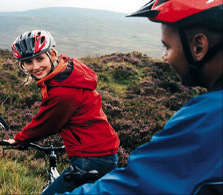 CycleWest Ireland offers a memorable experience, tailor made to suit your unique celebration. Fall in love all over again. Travel At Your Own Pace. CycleWest Ireland’s self guided, luggage free bike tours take you to some of Europe’s best and most unexplored countryside. Discover the beautiful sights, sample the local fare, take time to walk on a sandy beach and stop to digest the breathtaking landscapes. Start on your own select dates and take advantage of the flexible schedule. 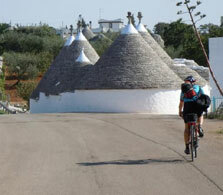 CycleWest Ireland offer a variety of bike trips, from rustic charm to elegant luxury in Ireland, Scotland and Italy. Our Guided Bike Tours bring you to some of the most unspoilt landscapes and immerse you into the culture, the history and culianry delights of the regions to which we visit. Our philosophy is to offer you a true immersion into the regions into which you visit. Cycling creates an appetite and with that in mind, we create and hand-pick the best Food & Wine experiences in the regions in which we visit. We want you to have fun to feel fully immersed in the local experience on each trip. We value the cuisine of the destination as an aspect of utmost importance in the quality of the holiday experience. 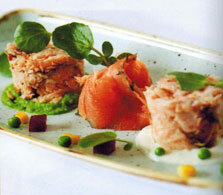 Gastronomy is a very important part of our culture and traditions and of most value in our leisure time.